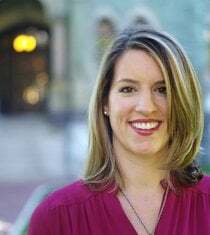 Jennifer R. Henrichsen is a doctoral research fellow at the Annenberg School for Communication at the University of Pennsylvania, where she is researching the tensions between freedom of expression and regulation and surveillance by state and corporate actors. She co-wrote a book titled, War on Words: Who Should Protect Journalists? which was published by Praeger in 2011. She co-edited the book, Journalism After Snowden: The Future of the Free Press in the Surveillance State (Columbia University Press, 2017) and contributed to the book, What Journalism Could Be (Polity, 2017) by Dr. Barbie Zelizer. Most recently, Jennifer was the First Look Media Technology Fellow at the Reporter’s Committee for Freedom of the Press in Washington, D.C where she served as an advisor and researcher on issues including digital security, government surveillance, and the future of journalism. Previously, she was a research fellow and program coordinator for the Journalism After Snowden initiative at Columbia University’s Tow Center for Digital Journalism and a consultant to UNESCO, where she completed a global research project on digital safety issues facing journalists. A Fulbright Research Scholar, Jennifer received a BA with honors from Pacific Lutheran University and a Master’s Degree in International and European Security with honors from the University of Geneva and the Geneva Center for Security Policy. In 2017, Jennifer was awarded a Master’s Degree in Communication from the University of Pennsylvania, while pursuing her Ph.D. studies.